It was another gorgeous week here in the Pacific Northwest. 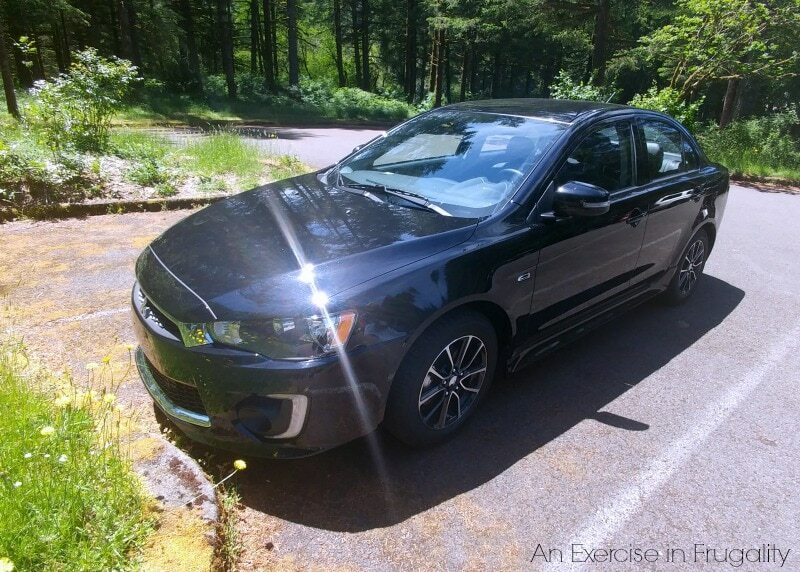 My husband and I had plans to drive this beautiful 2016 Mitsubishi Lancer SEL to meet up with his parents, his sister and her husband and their two kids and my husband’s paternal grandfather in Hermiston (a 4-5 hour drive from us) for a picnic/family gathering this weekend. Unfortunately, my in-laws all caught a horrible bug and have been sick the last week. We were hoping to get to drive up to see them, but unfortunately at the last minute the trip was cancelled due to their illness. We knew we couldn’t let this zippy little car go to waste, and so we packed up for a day trip to Silver Falls instead! 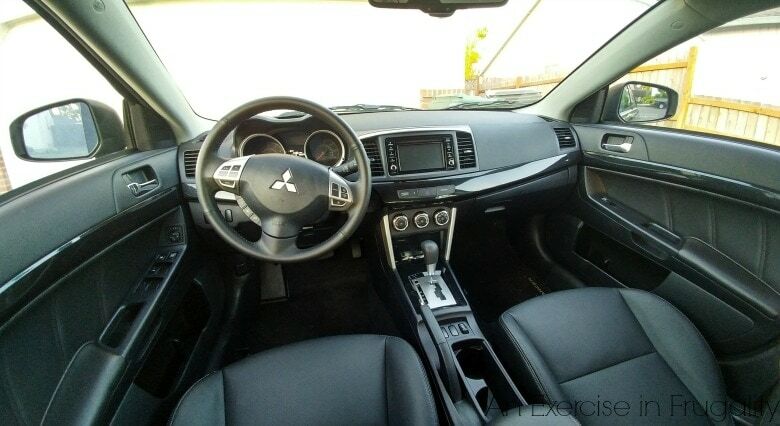 The Lancer might be a sedan, but its got the heart of a sports car. The handling on the winding mountain roads leading up to the falls was impeccable. Even at high speeds, she handled like a champ. With optional all wheel drive, there’s lots of grip and power to get you where you need to go. 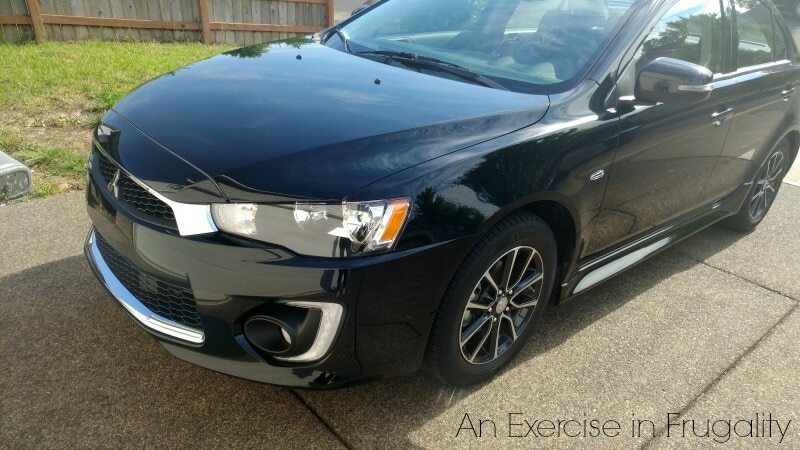 I was given a Lancer with the SEL package, which starts at $21,995 and includes a 168-hp, 2.4L MIVEC engine, All Wheel Control 4WD system, leather seats, a 6.1″ touch panel display audio system, rear camera, rain sensing wipers (a feature I initially thought was silly, then I remembered I live in OREGON. Heck yeah, this is an awesome feature! ), plus many other options and standard features that make it a great buy. 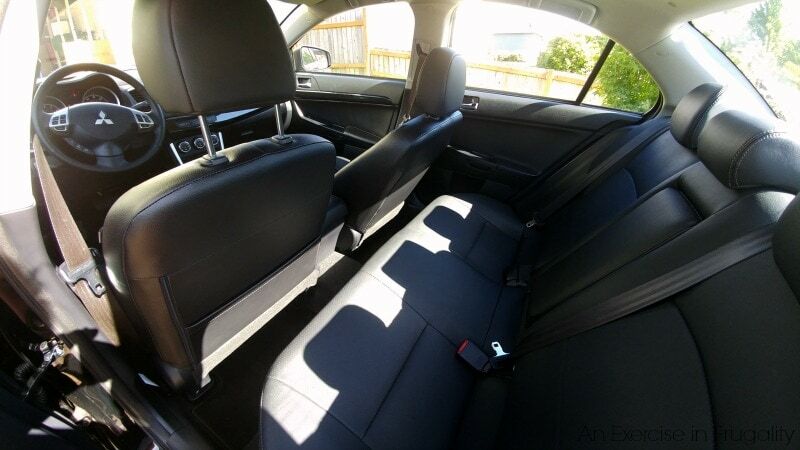 This car has 7 airbags and seats 5 comfortably. There’s a decent size trunk, although the opening is a little on the smaller side, its capacity is still quite roomy. 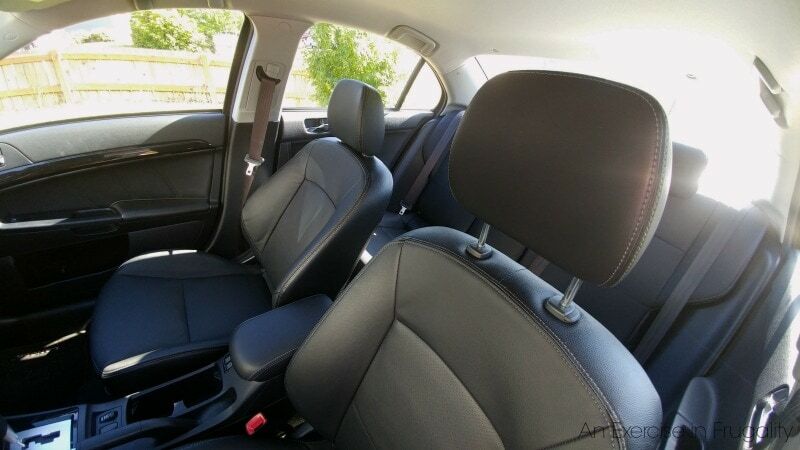 The features of this trim package are what really makes it stand out, but I like that the base model starts at around $17,000 making it an affordable choice for a young couple or a family with small children. The great part about the Lancer is that it is a vehicle that will meet your family and budget needs while still making you feel like you’re darting around a rally course. It’s affordable yet fun while still being safe. Speaking of meeting your family needs, let’s talk safety. The 2016 Lancer was the winner of an IIHS Top Safety Pick in 2015 for a vehicle of its class. Perhaps one of my favorite features of the Lancer has nothing to do with the car itself at all, but rather the company’s commitment to their product. Mitsubishi offers a 5 year/60,000 mile basic warranty, a 10 year/ 100,000 mile powertrain warranty AND a 7 year/100,000 mile anti-corrosion warranty plus roadside assistance all come standard. To me, that shows that they will stand behind their product, and their warranties are one of the best in the industry! While we didn’t get to go on the 8-10 hour round trip we had planned, we did take the Lancer and headed for the mountains. 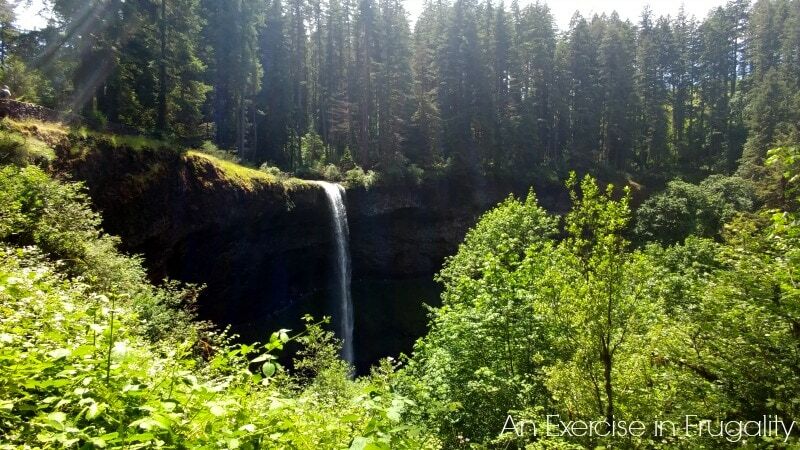 We took the winding, narrow roads up the mountains to Silver Falls where we took in some breathtaking sights. All the while, I felt totally safe in this sleek little car. It definitely looks the part of a sporty rally car, but somehow also looks mature and sophisticated at the same time. Side note: get a load of these views! 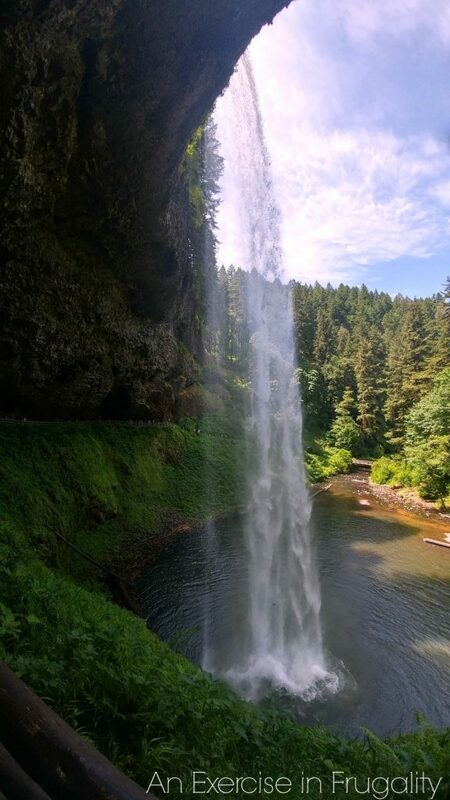 This is a National Park right near us (how have I lived here 2 years and not known that this existed?) and its gorgeous! We did a hike that was about a mile and a half or so, but SUPER steep. All my parts hurt but it was worth it. We had a blast! Interesting fact: in the early 1900’s, the man who owned the land that now makes up the park used to charge patrons admission to watch them push cars off the waterfall! While that would be cool to watch, I think I’ll stick to driving the Lancer rather than pushing it off cliffs if that’s ok with all y’all. Overall, I really enjoyed driving the Lancer. 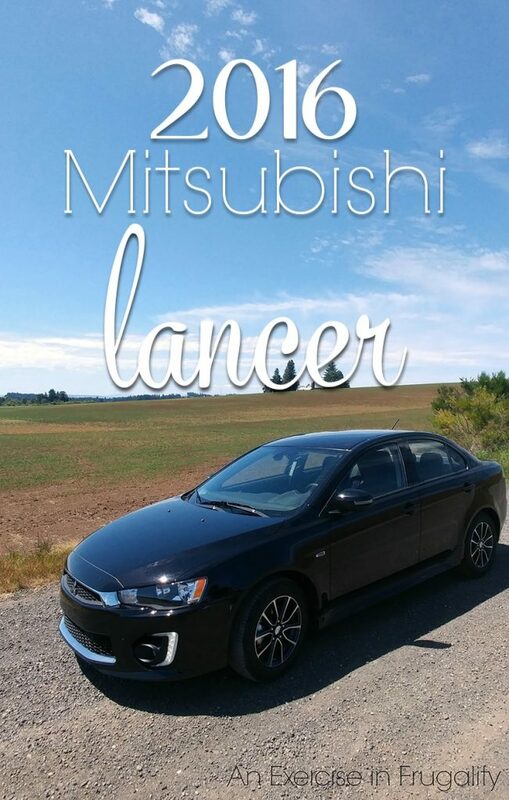 My husband Andrew (aka: Mr. Frugality) really liked the Lancer even before we got to test it out, and now he wants one even more! 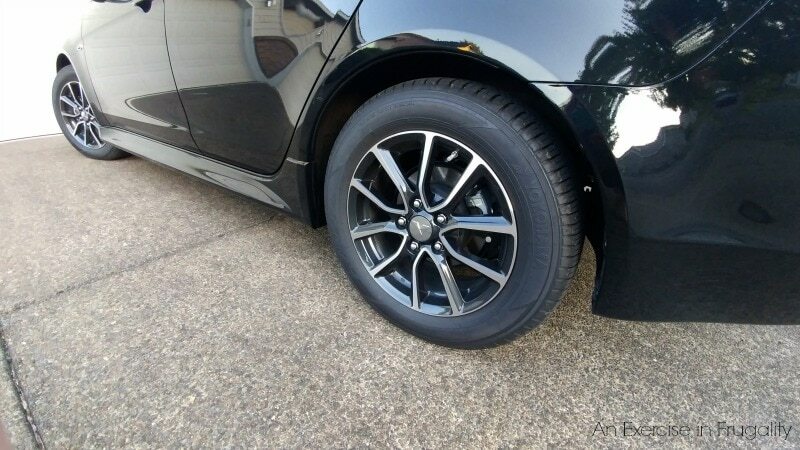 I think its a great pick for anyone who is not quite ready to make the commitment to a mini-van, and wants to hold onto the fun sporty rides of their youth just a little longer while not compromising on safety and keeping their budget in line. 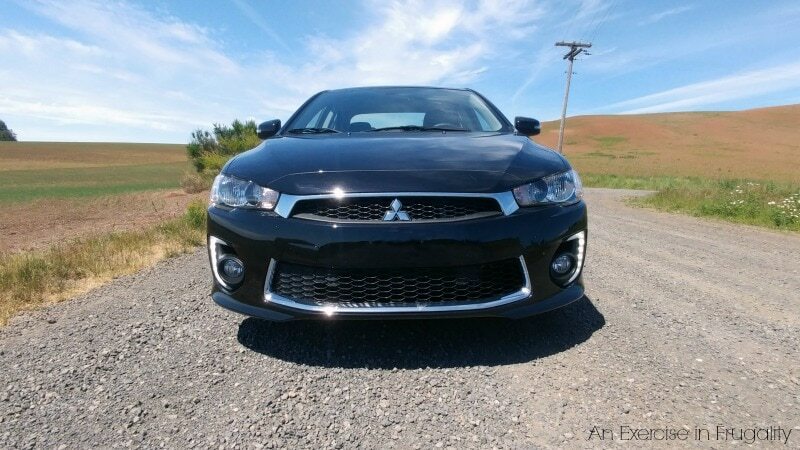 What do you think of the 2016 Mitsubishi Lancer SEL? Thank you! 🙂 Part of it is that Andrew and I are very tall (I’m 5’10 and he’s 6’2) so the seats are pretty far back. I think some of it is the angle of the pictures too because it doesn’t look that cramped in person. It might be a little uncomfortable for an adult on a long road trip back there admittedly, but I think for kids or occasional adult use (ie: carting friends around on short jaunts) it wouldn’t be too bad!